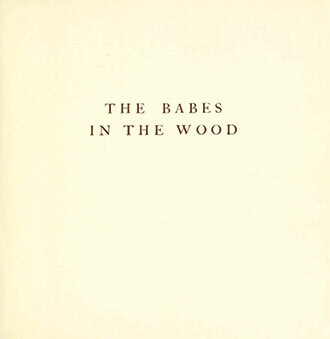 ‘The Babes in the Wood’ is a traditional children’s tale, telling the touching story of two innocents, abandoned in the woods. 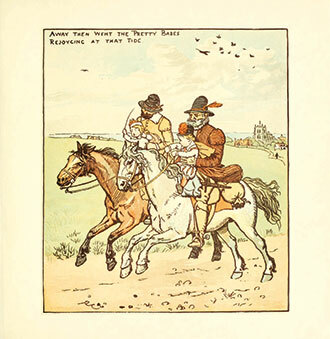 First published as an anonymous broadside ballad, printed by Thomas Millington in Norwich in 1595, the tale has since been reworked in many forms. 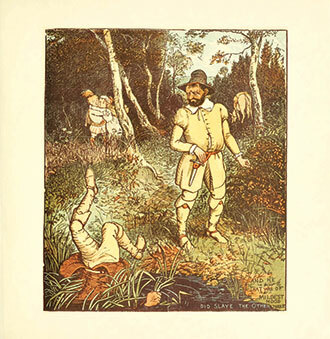 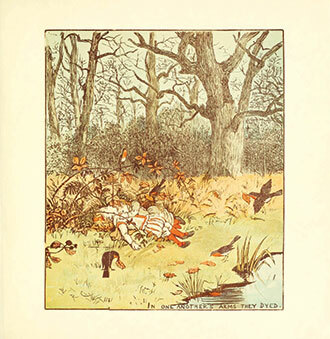 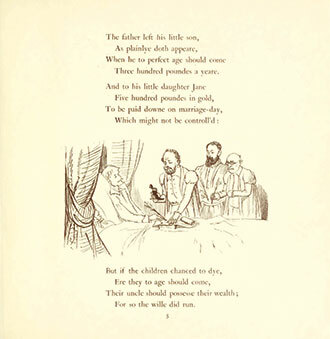 ‘The Babes in the Wood’ frequently appears as a ‘Mother Goose Rhyme’, but is here adapted and beautifully illustrated (in full-colour), by Randolph Caldecott. 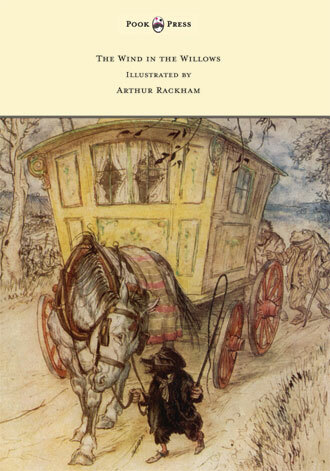 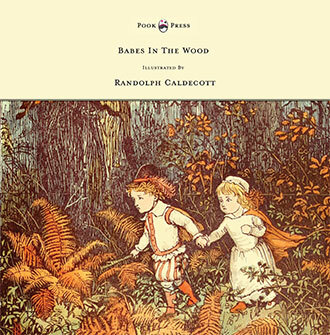 Randolph Caldecott (1846 – 1886) was one of the most important British illustrators of the Victorian period. 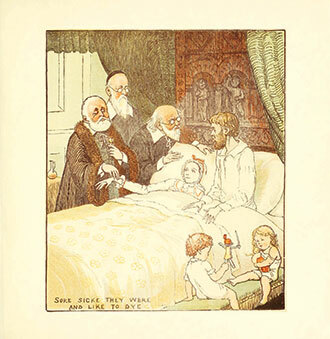 He transformed the world of decorated children’s books, with his delicate yet considered drawings and imaginative subject choices. 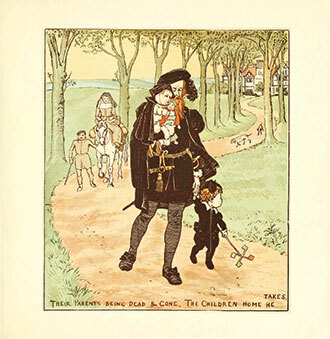 Caldecott selected all the stories and rhymes he illustrated (and occasionally wrote) and frequently added to the stories himself. 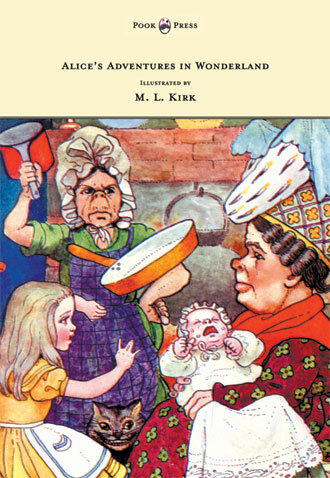 His delightful style and humour can still be enjoyed by young and old alike – making this a book that is not to be missed. 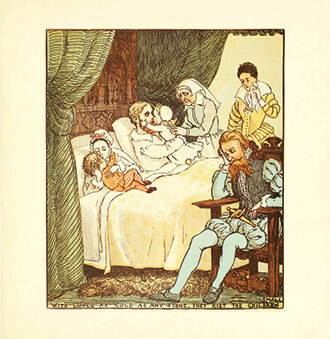 With works such as The Babes in the Wood, Pook Press celebrates the great ‘Golden Age of Illustration‘ in children’s literature – a period of unparalleled excellence in book illustration from the 1880s to the 1930s.